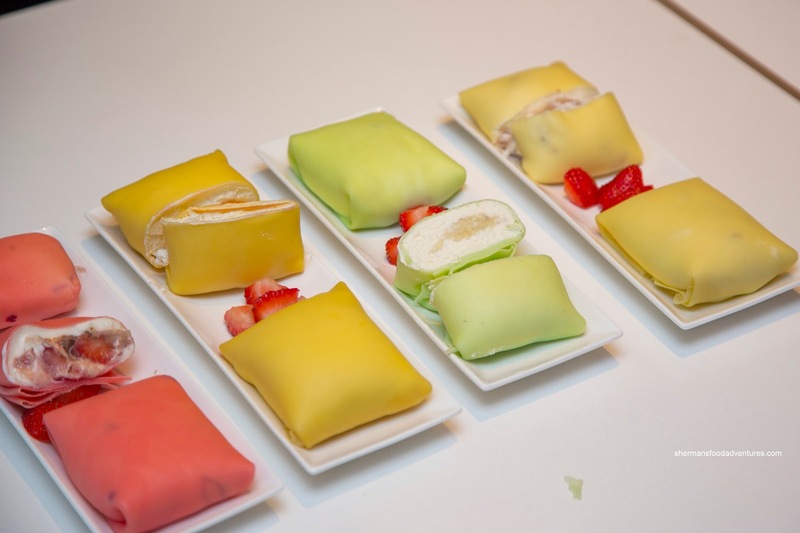 I can honestly say that desserts are never my first choice when it comes to eats. Heck, I'd rather order a bunch of appies just to pick at over interesting conversations. In fact, just toss me a bag of Doritos for my after-dinner snack in lieu of anything sweet. Sure, I don't mind the occasional cheesecake, ice cream or gelato, but it's just not my thing. 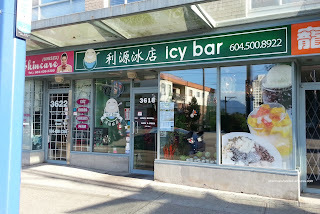 So when the next ChineseBites event was scheduled at Icy Bar, which is a dedicated dessert spot, I went in with tempered enthusiasm. Well, I guess they wanted us to try everything as the desserts came out fast and furious. 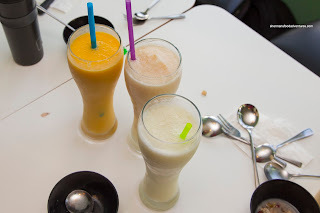 We were all able to sample a bevy first and I decided to go for a Lychee Slush. Made with blended whole lychees, the drink was thick in a fruity manner rather than being icy. I asked for it to be only 1/4 sweet and it was just right. Hence, rather than sipping on sugar, I was getting the full lychee essence. In actuality, I chose lychee because Joyce had ordered my first choice being the Mango Slush. It definitely tasted like mango while being creamy smooth. I liked how it was not too sweet where the flavours didn't taste artificial. I was also able to try the Taro Slush and it was pretty sweet and a bit pasty (but taro can be that way). Onto the desserts, we shared the Traditional 8 Mix Icy with an array of toppings including red bean, green bean, basil seed, mochi (3 types), chendol, almond jelly, fresh mango, grass jelly, peanuts and vanilla ice cream. 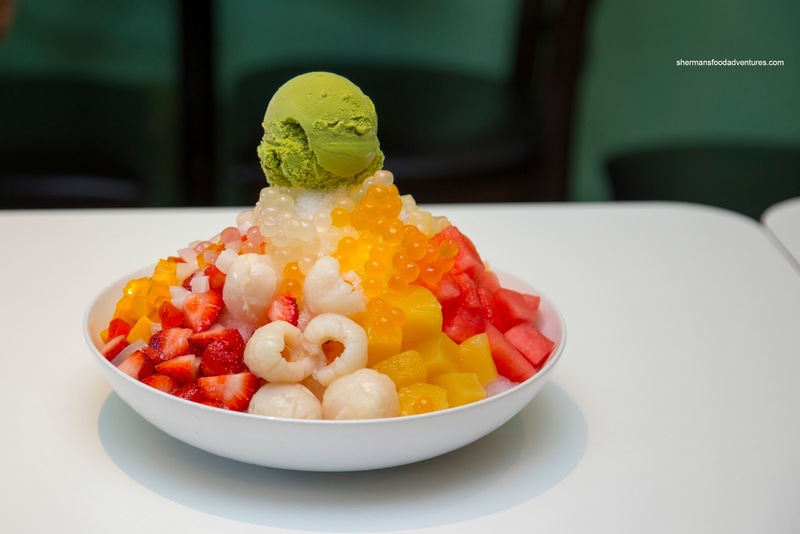 The other mix icy included lychee, strawberry, mango, pineapple, watermelon, rainbow jelly, popping pearls and green tea ice cream. Obviously, this was a shared dessert as it was big enough to feed our table of 6 and then some. 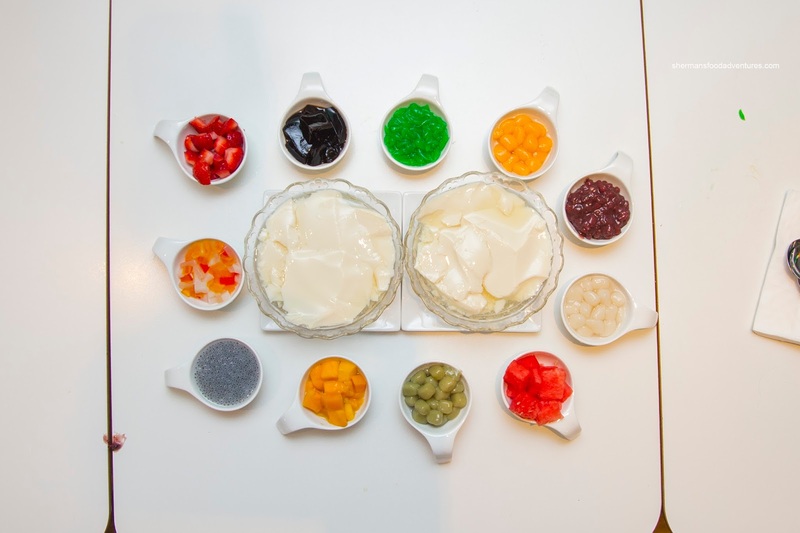 With homemade mochi and fresh fruit, there was not much to complain about these big bowls of dessert. Next, we tried their Pancakes (more like crepes) filled with fresh whipping cream and fruit (such as strawberry, mango, durian and taro). These featured a soft and tender crepe with lightly sweet and airy whipped cream. The fresh piece of fruit (and taro) was enough to add the expected flavour. For some reason, the strawberry ate a bit messy and wet. I thought the mango was the best of the bunch. 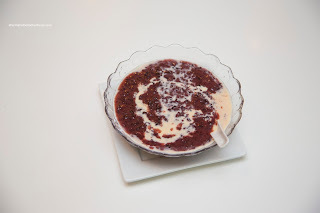 Aromatic and slightly sweet, the Black Rice with Coconut Milk was something a bit different from all the fruit desserts so far. Texturally, the rice was appealingly chewy while the consistency of the dessert was not too thick. 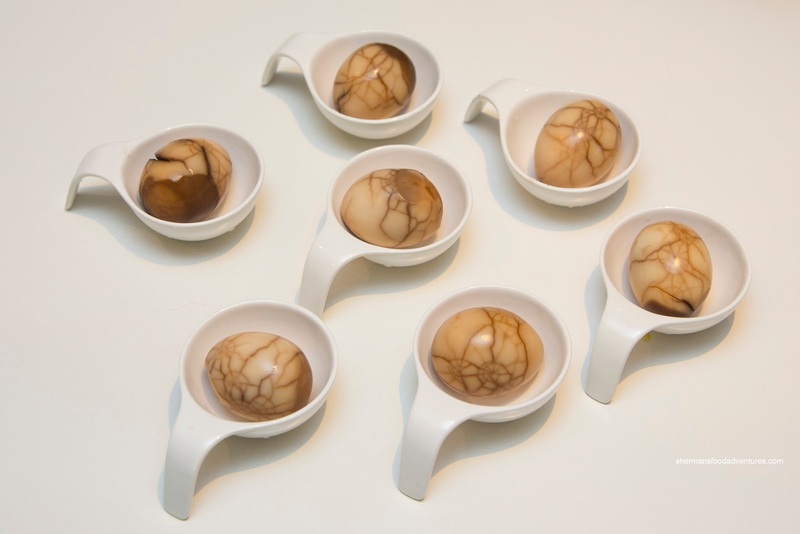 Taking a break from the sweets, we went for something savoury in the Tea Eggs. These featured the classic cracked shell appearance (although it could've been done with more care) where the braising liquid penetrated all-the-way to the yolk. Hence, there was a rich anise and tea flavour. Naturally, the yolk was completely done with the expected ring and firm texture. Back to the desserts, we had the Chocolate Honey Toast topped with ice cream and chocolate sauce. I found each cube of toast to be lightly crispy while kissed with just enough sugar. I felt there was a restrained amount of chocolate sauce which ensure the dessert wouldn't be crazy sweet. 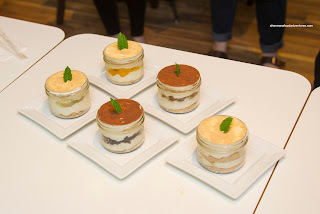 Served in jars, the Plant Pudding was served in 5 different flavours including original, durian, mango, oreo and tiramisu. Not sure why they were named as such because it was more like a parfait than pudding with cream, filling and crumb/cookie. These were pleasant enough being creamy and lightly sweet (except for the Oreo), but nothing particularly memorable. 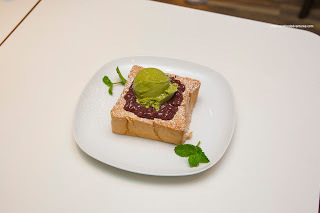 Back to toast, we had the Red Bean Green Tea Ice Cream on Thick Toast. 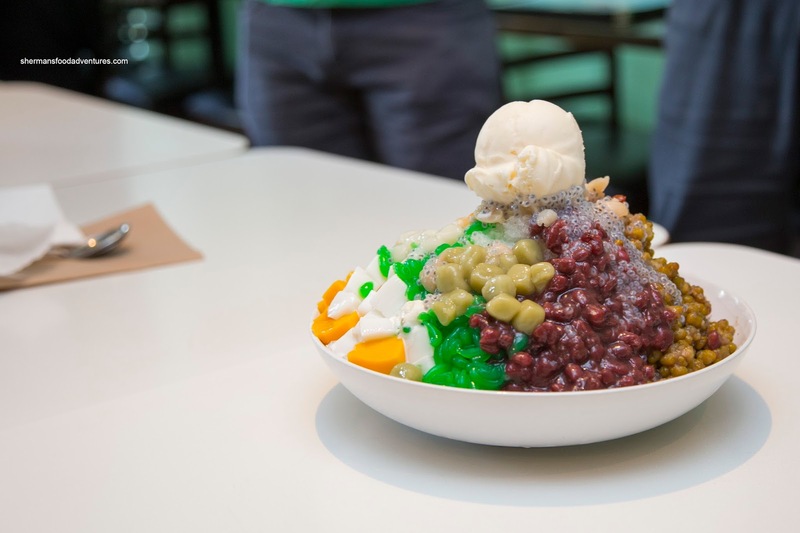 Normally, red bean anything can be pretty sweet and heavy. This was the case here where the red bean was enough to flavour all the toast with a sugary firmness. The crunchy toast held up well to the wet ingredients. 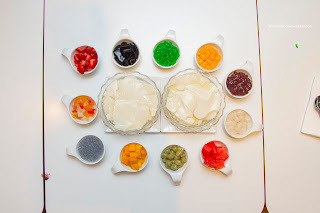 Our last dessert, we were served Tofu Pudding with a selection of toppings that included strawberries, grass jelly, chendol, mochi, red bean, watermelon, mango, basil seed and coconut jelly. 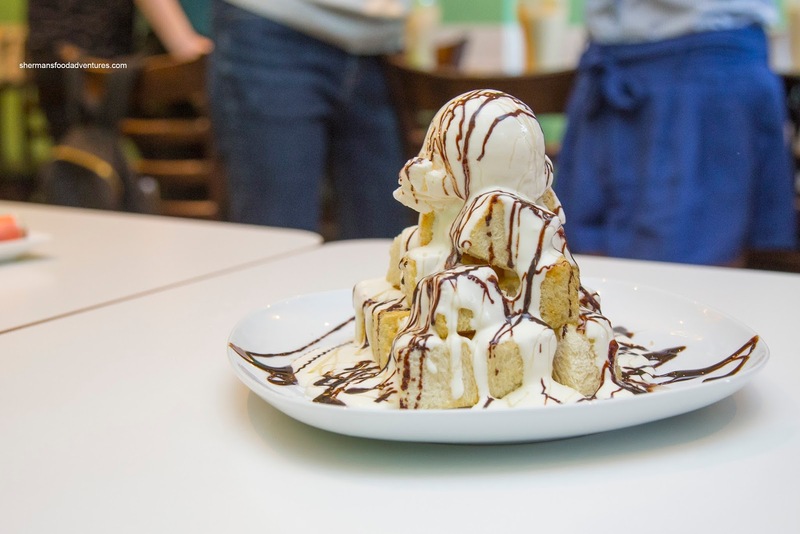 Normally, one would order the tofu with their selected toppings without the benefit of building it themselves. Even though I piled on the toppings, the dessert wasn't sweet and it was a nice way to end off tasting. I went away truly impressed with all the different offerings at Icy Bar and also the care put into each dessert. 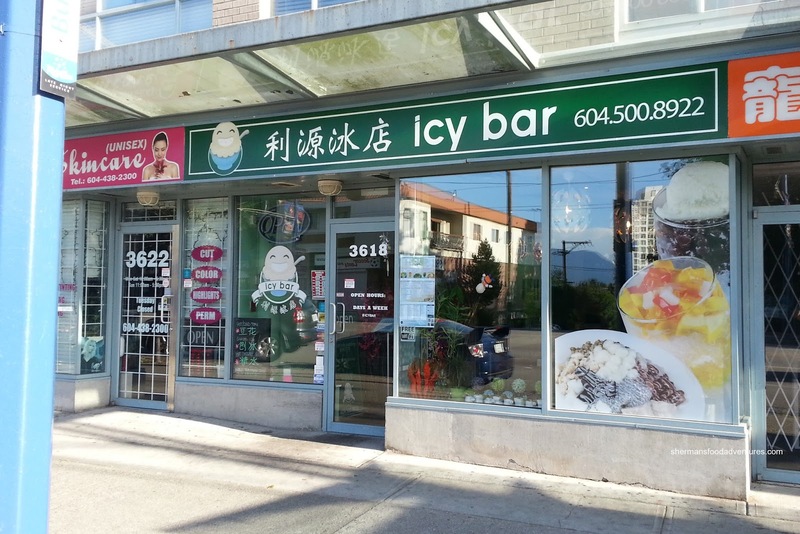 Of course, I preferred some items more than others (particularly the Mix Icy and Tofu).